Biography: Roy W. Horton has over 25 years of experience in the area of insurance defense litigation, including third-party liability, workers’ compensation, and subrogation matters. He has participated in over 30 trials including significant first chair trial experience at the county and district court level. He is licensed by the Supreme Court of Texas to practice in Texas state courts and in United States District Courts in the Northern District of Texas. 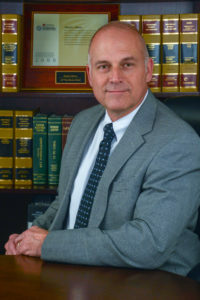 Mr. Horton’s legal career began in 1991 with a boutique Austin insurance defense litigation firm. Since that time, he has represented insurance carriers at hundreds of administrative hearings before the Division of Workers’ Compensation, the State Office of Administrative Hearings, and in subrogation litigation. Mr. Horton also has extensive experience representing insureds in third party liability litigation from initial investigation to settlement or verdicts in both state and federal court. His liability caseload has ranged from simple auto and premises liability to criminal assault, catastrophic injury and death cases. Mr. Horton has served as a senior trial attorney for private litigation firms and as staff counsel to Kemper Insurance Company as the supervising trial attorney in the Dallas office. During his career, Horton also served as general counsel for a large independent managing general agency. This experience provided a firsthand understanding of the claims process from the carrier’s perspective, including the importance of claims management and claims litigation in relation to the carrier’s success. Mr. Horton lives in Flower Mound, Texas with his wife and three children. He is an active volunteer at Marcus High School and a member of the Double Oak Volunteer Fire Department.